NEW YORK – August 11, 2013 – USA Network announced today a 16-episode fifth season renewal of the hit original drama Suits. Currently airing its fourth season, Suits continues to be a top 10 summer scripted series in P18-49 (1.6 million), P25-54 (1.7 million), and total viewers, averaging nearly 4 million. The midseason finale is scheduled for Wednesday, August 20 at 9/8c. In today’s society we are starting to see an increase in heroin addicts ranging from young people and older individuals. Heroin is a drug that has become easily accessible for users to not only purchase, but use on a consistent basis. This heroin addiction is one of the most dangerous drugs that an individual can abuse. SUITS centers on a fast-paced Manhattan corporate law firm led by legendary lawyer Harvey Specter (Gabriel Macht, “Love and Other Drugs”). This season saw a major shift at The Firm that left Harvey at odds with his brilliant, but not-technically-legal associate Mike Ross (SAG Award nominee Patrick J. Adams, “Rosemary’s Baby”) who left to head to Wall Street as an investment banker. As the series builds to its summer finale, Mike has returned to Pearson Specter to resume his place beside Harvey, but Louis’ (Rick Hoffman, “Samantha Who”) secret threatens to unravel The Firm. The series also stars Gina Torres (“Firefly”), Sarah Rafferty (“Brothers & Sisters”) and Meghan Markle (“Fringe“). Seasons one through three of SUITS can be found on Amazon Prime while fans can catch up on the fourth season via video-on-demand. 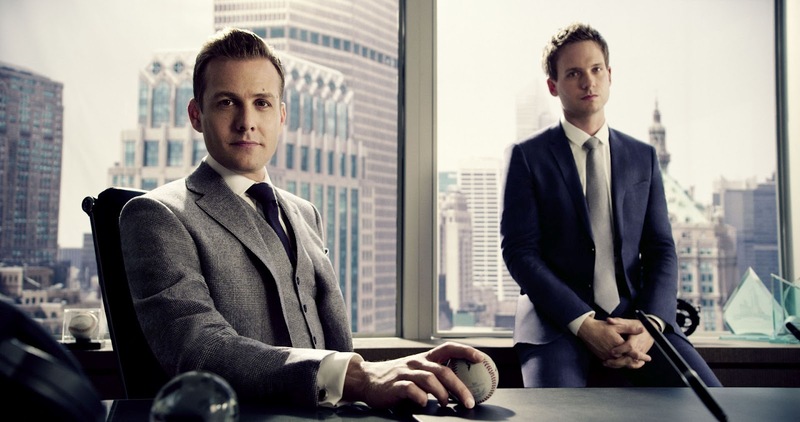 From Universal Cable Productions, SUITS was created and is executive produced by Aaron Korsh (“The Deep End”). Doug Liman (Covert Affairs, the “Bourne” trilogy, “Mr. and Mrs. Smith”),David Bartis (Covert Affairs, “The O.C.”) and Gene Klein (Covert Affairs) of Hypnotic also serve as executive producers. SUITS is shot on location in Toronto, ON. 2014 – Bad year for summer blockbusters?